It’s A Miserable Life? 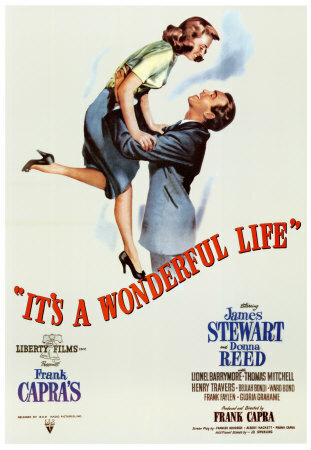 It’s Wonderful Life! Potter: Peter Bailey was not a business man. That’s what killed him. Oh, I don’t mean any disrespect to him, God rest his soul. He was a man of high ideals, so-called. But ideas without common sense can ruin this town. Now, you take this loan here to Ernie Bishop . . . you know, that fellow that sits around all day on his brains in his taxi, you know. I happen to know the bank turned down this loan, but he comes here and we’re building him a house worth five thousand dollars. Why? Under Potter’s rules, Ernie the cab driver did not measure up. Potter’s bank turned down his loan application. Yet despite his inadequacy, the Bailey Building & Loan granted him a loan so that he could build his first house. The grace and love George Bailey showed him allowed Ernie himself to offer love to others such as George. The blank stare from Pottersville is gone because Bailey loved him despite his failings. The same could be said for Violet and Uncle Billy. Peter Bailey: I suppose you’ve decided what you want to do when you get out of college. George: Oh well, you know what I’ve always talked about . . . build things, design new buildings, plan modern cities, all that stuff I was talking about. Peter: Still after that first million before you’re thirty. George: No, I’ll settle for half of that in cash. Peter: Of course, it’s just a hope, but uh, you wouldn’t consider coming back to the Building & Loan, would you? George: I couldn’t. I couldn’t face being cooped up for the rest of my life in a shabby little office. . . . Oh, I’m sorry, Pop, I didn’t mean it that way, but this business of nickels and dimes and spending all your life trying to figure out how to save three cents on a length of pipe – I’d go crazy. I want to do something big and something important. 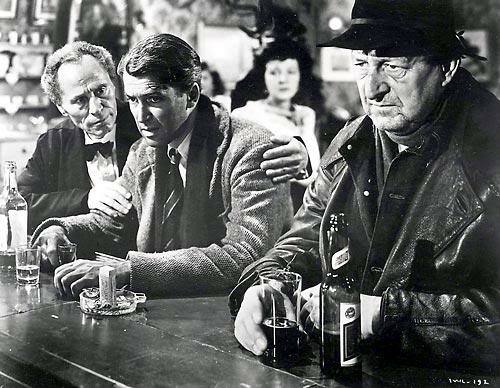 The article concludes that “Not only is Pottersville cooler and more fun than Bedford Falls, it also would have had a much, much stronger future.” For Capra, the “fun” environment and stronger future did not help Ernie, Violet, or Uncle Billy. 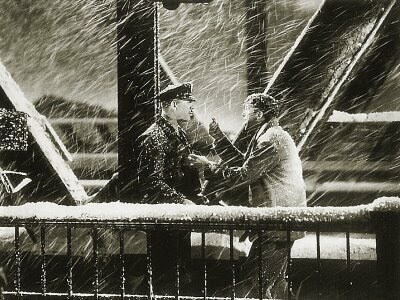 For Capra and ultimately for George, Pottersville represents progress in the wrong direction. Read more on and from Ron. We just watched this, as we do every year. I love this movie, but as far as Christian themes, I usually notice where it departs from Truth; such as, God uses bumbling Angels who often fail; and that George Bailey's problem is rooted in the fact that he is too good. Still, the schene where he faces failure and takes it out on his family, leading him to say: "God, if you are there please help" is very powerful. Thanks for pointing out the Grace in it. It is there, just some what mixed up with the usual Hollywood God helps those who help themselves. The great theme of this movie is impasse. After planning his entire life out down to the “t”, he becomes bitter and angry about the inability to achieve the plan. Only after acknowledging his need does God intervene in the form of an angel. That angel shows George that God had a much greater plan for his life than George could ever have imagined. George is effectively saved by something outside of himself in a time of great weakness. Now if that ain’t the Gospel, I don’t know what is.